Vandy Vape has many squonk vape member on its family. Let us find the Vandy Vape Squonk Vape gears. Vandy Vape Pulse X BF Kit comes with a Vandy Vape Pulse X BF Squonk Mod and a Vandy Vape Pulse X RDA. 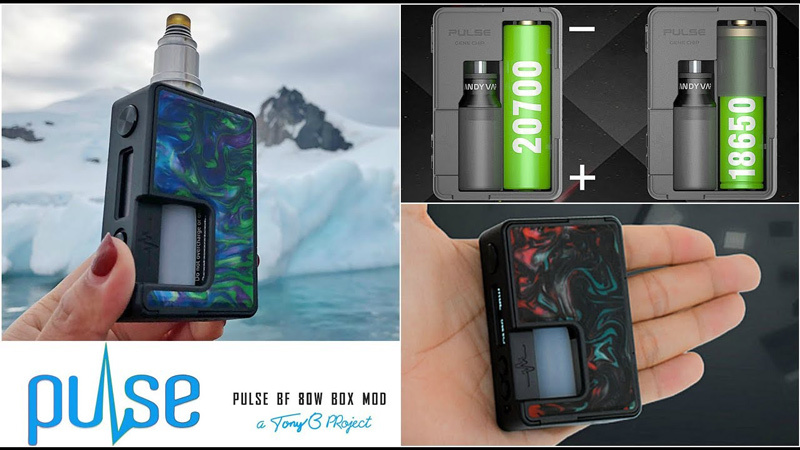 It is a collaboration between Tony B and Stefen Z. Powered by the single 18650, 20700 and 21700 battery, the Vandy Vape Pulse X mod can fire Max 90 watts. Features the unique Vandy Chipset that provides the excellent quality and highest stability. 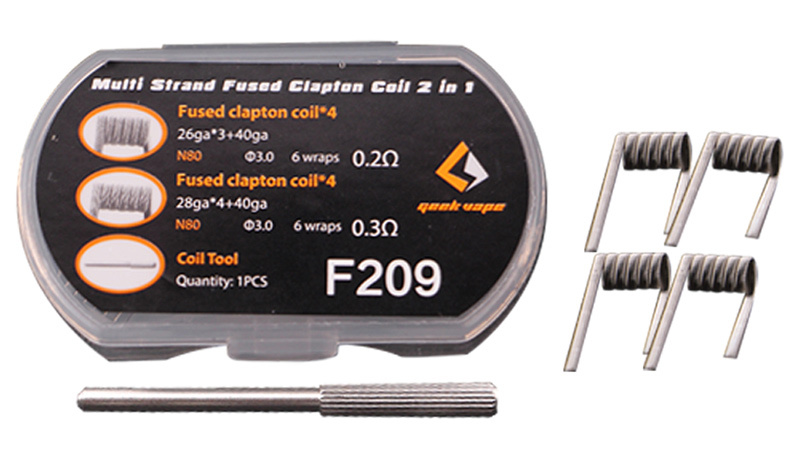 With the magnetic replacement panel, the Vandy Vape Pulse X BF kit is easy to operate. Vandy Vape Pulse X RDA has a creative "X" style building deck, which can compatible with the Vertical and Horizontal coils. Besides, you can easy to adjust the top cap to get the optional airflow and flavor. 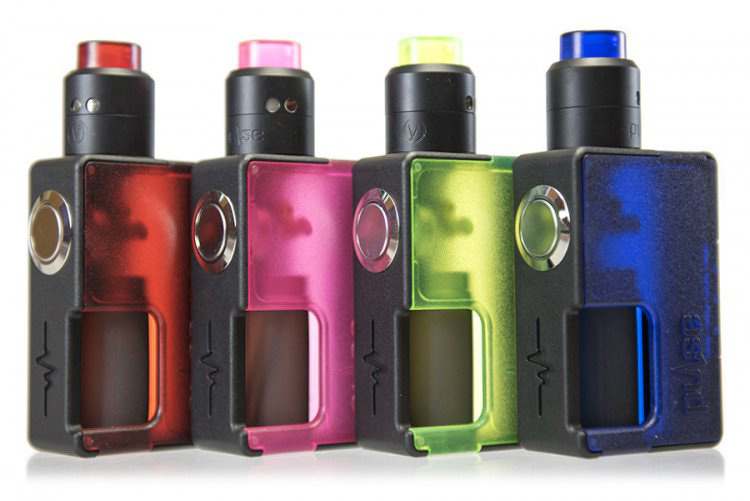 Vandy Vape Pulse BF Squonk Kit comes with the Vandy Vape Pulse BF Squonk Mod and Vandy Vape 24 BF RDA Special Edition. It is designed by Vandy Vape and Tony Brittan. Vandy Vape Pulse BF Kit is a light-weight bottom feeding device that utilizes a single 18650 or 20700 battery. As this is a mechanical box mod, the Pulse BF features an intelligent lockable power switch for safety and protection. The Vandy Vape 24 BF RDA has a simple, user-friendly building deck that easy to DIY. Designed with the side-mounted Kennedy-style airflow system, it will help to bring you huge vapor. Vandy Vape Simple EX Squonk Kit combines a Vandy Vape Simple EX Mod and Vandy Vape Simple EX RDA. 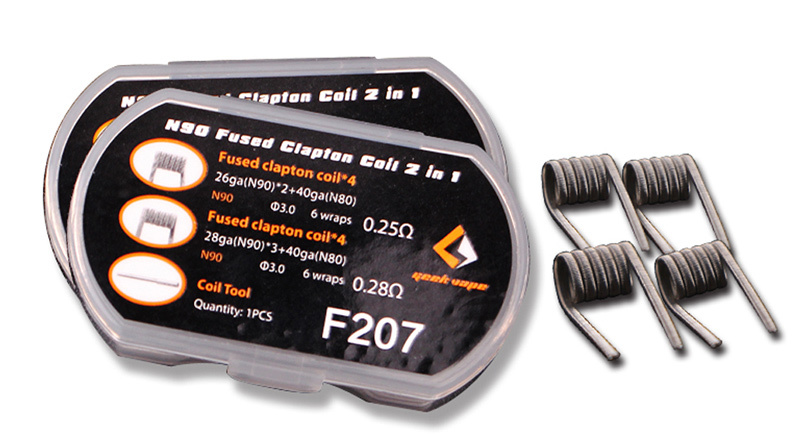 It is a special Nic-Salts BF kit for the vape users. 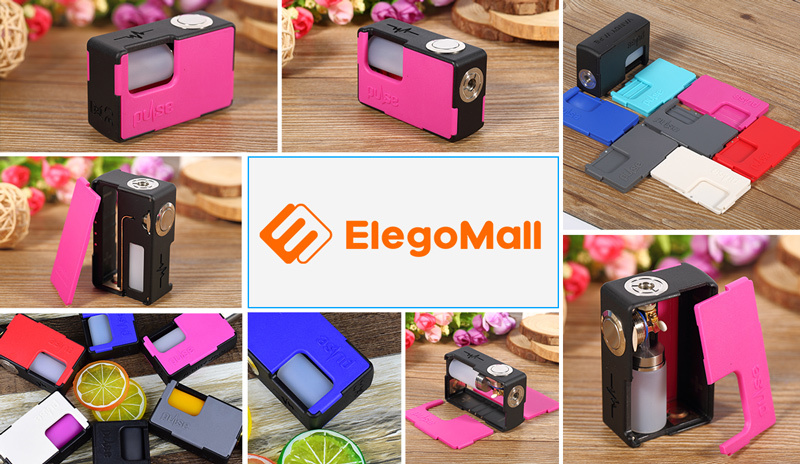 With the built-in 850 mah battery, the Simple EX Mod can adjust voltage from 3.3 to 4.5V. 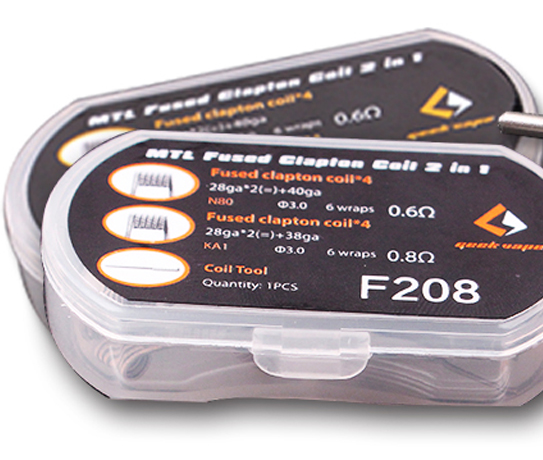 The resistance range is from 0.8 to 3.0ohm. The Vandy Vape Simple EX RDA is a 21mm diameter tank with single coil build deck and 6 adjustable airflows specially designed for Nic salt. Shop the Vandy Vape Simple EX Squonk Kit for the best MTL vaping. 1. Designed by Vandy Vape and Tony B. Which Vandy Vape Squonk Kit would you prefer? Which Vandy Vape Squonk Mod would you prefer? All the Vandy Vape Squonk Kits and Mods are free shipping for the retailer now. Please log in to get the lower price and shop it. So very true Tara... sadly they now seem to have become the new forum spammers and ... sadly.. by clicking on their name and adding to ignore list .. you can avoid seeing the elegomall posts like all of the other spammers on this fourm.. but I had hoped for better from them ! Here are some cheap vape devices for you. 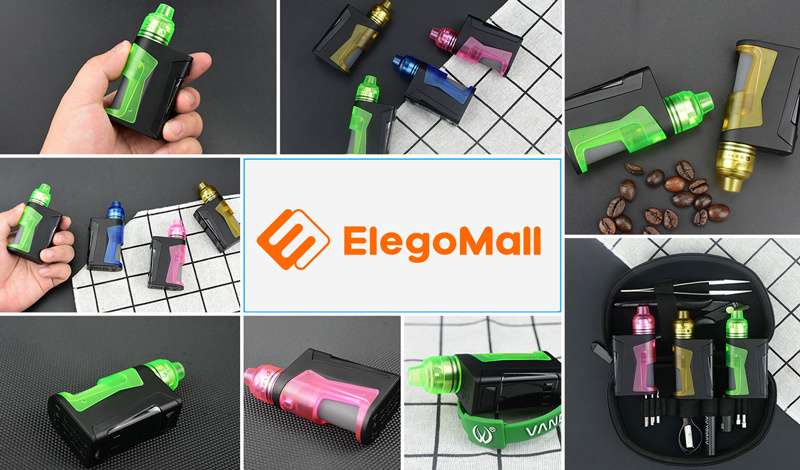 Elegomall will provide much cheaper vape devices for the vape users. [Giveaway] Win the THC Tauren RDA for Free! 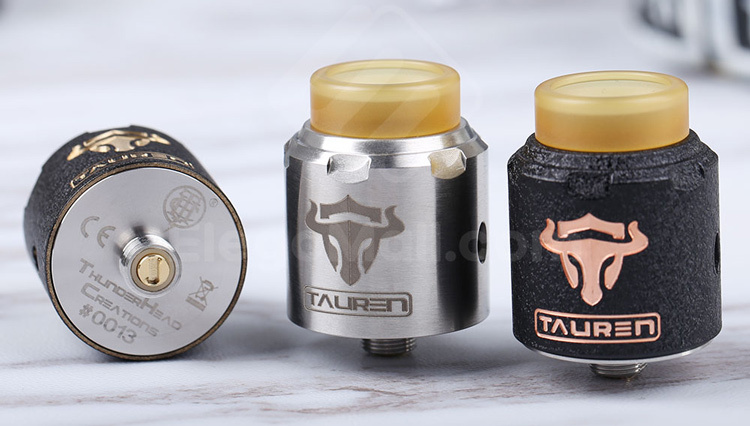 Would you prefer the THC Tauren RDA for your Mechanical Mods? 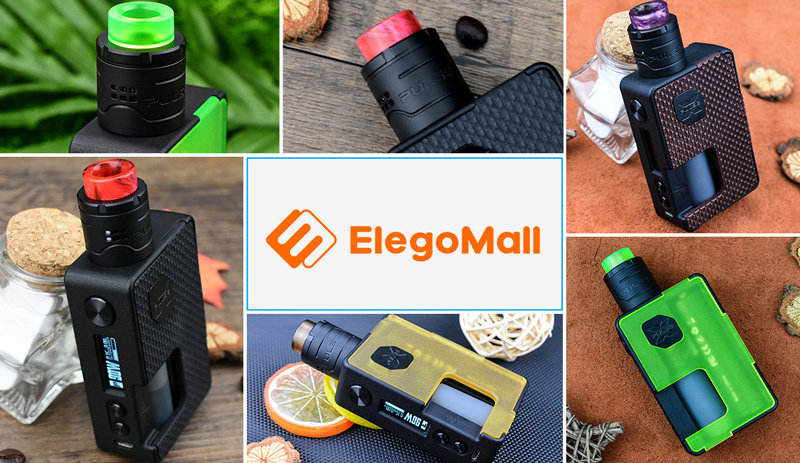 Now Elegomall offers you the chance to win it for free! 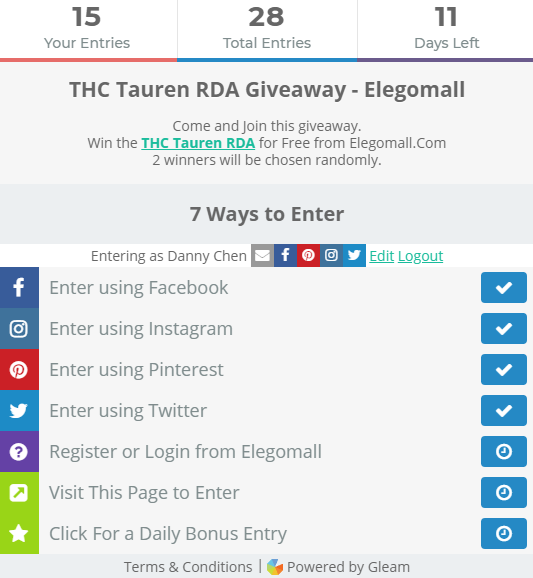 Join and win the cool THC Tauren RDA now. [Giveaway] 5 Winners - Wotofo Profile RDA for Free! Would you prefer the brand new Wotofo Profile RDA? You can win it for free from Elegomall Now. Join and win the creative Wotofo Profile RDA now. Good luck to you and hope you have a nice day. 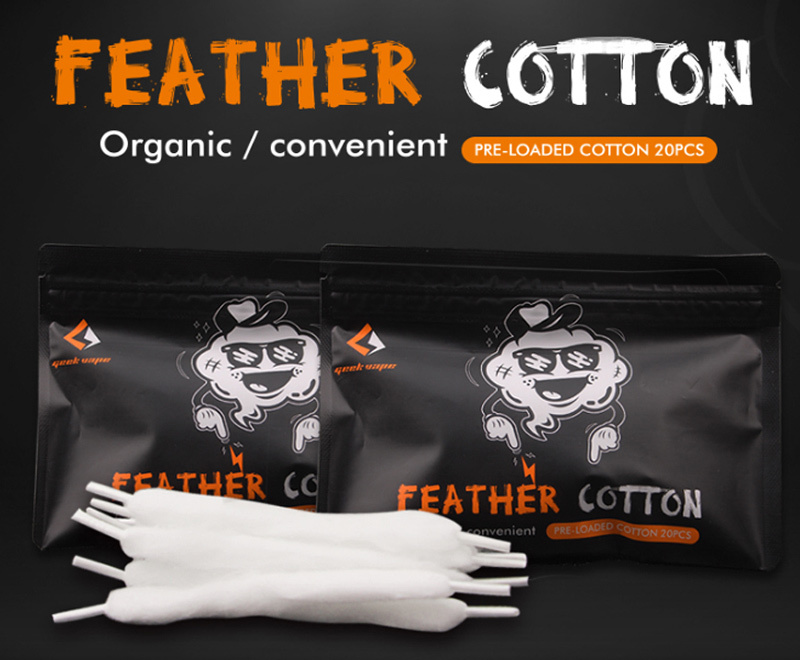 Here are some brand new GeekVape Clapton coil and Cotton for your rebuildable tank. These are 4 kinds of GeekVape vape accessories for the vape lovers. Shop it for the easy DIY vaping. Wotofo provides the Mesh Style Coil for the Wotofo Profile RDA. Let us look for more details. This rebuildable mesh sheet is an improved and larger-sized one of our previous heating element used in Flow Pro coil head, which is proven to be superior in flavor production by the market. It is a perforated metal sheet in Kanthal A1 material. The mesh style coil sheet measures 16mm*6.8mm with the resistance of 0.18ohm to best perform at 40-60 watts. Proper mesh coil dry burning wattage is between 15W and 20W. The Wotofo Mesh Style Coil Sheet will deliver the cloud vapor and great flavor for the vape lovers. 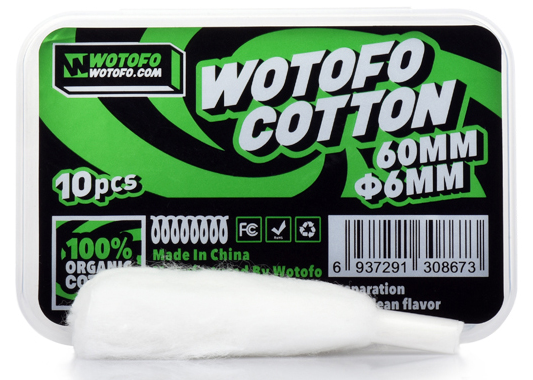 Besides, you may also prefer the brand new Wotofo Cotton. 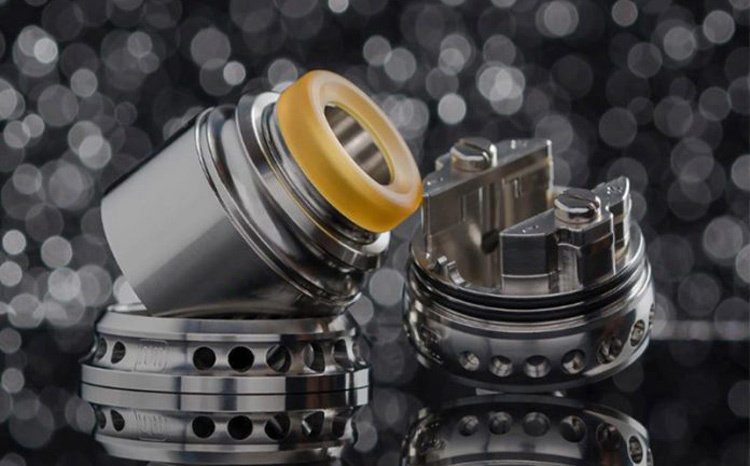 Wotofo Profile RDA is a creative 24mm rebuildable tank. It is easy to DIY and brings great taste. Let us review it now. Wotofo Profile RDA is designed by the Wotofo Official and Mrjustright1. Features the unique clamp style dual post build deck that is easy to switch between mesh and wire coils. With a 24mm sleeve and multiple air holes, you can adjustable it to get the accurate airflow. It supports up to 30 puffs at 75W before needing to re-saturate the wick when using pancake wicking method. Shop the Wotofo Profile RDA now. Last edited by Pheric; 28-08-18 at 11:23 PM. Do you remember the OVNS JC01 Pod System? Today we will show some details for you by video. Let us look at it. Shop the OVNS JC01 Pod System Kit here. What do you think of the OVNS JC01 Pod System Kit? 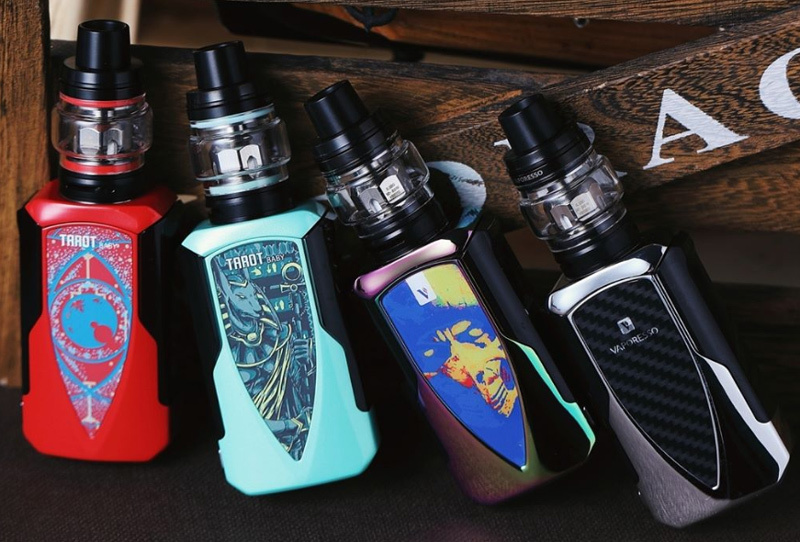 You can preorder the Aspire Nautilus AIO Kit from Elegomall now. Let us look at some details about the Aspire Nautilus AIO. Aspire Nautilus AIO Vape Kit comes with the 2/4.5ml pod and the built-in 1000mah battery. It utilizes Aspire's famous Nautilus BVC coils rated at 1.8 ohms and comes with a regular coil and the second one for use with nicotine salts. Features the unique adjustable airflow system that will deliver the optional to you. Besides, the Aspire Nautilus AIO has the LED light to demonstrate your real-time vaping status. Shop the Aspire Nautilus AIO Vape Starter Kit now. By the way, do you remember the Innokin EQ Pod Vape Kit? It is similar to the Aspire Nautilus AIO. 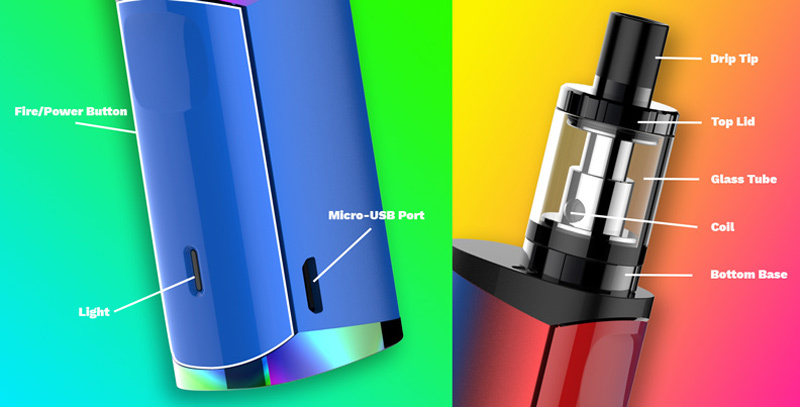 Maybe you would prefer the Innokin EQ. Innokin EQ Pod Vape Kit is the creative pod system kit with mesh coil from Innokin Official. Consists of the integrated 800mAh Rechargeable Battery and 2ml EQ Pod cartridge that meet your daily vape need. Working with the 0.5ohm resistance MTL Mesh coil, the Innokin EQ vape kit will not only give your hand comfort feeling but also rapid heat diffusion increases coil life. There are the regular mode and the boost mode for you to choose. 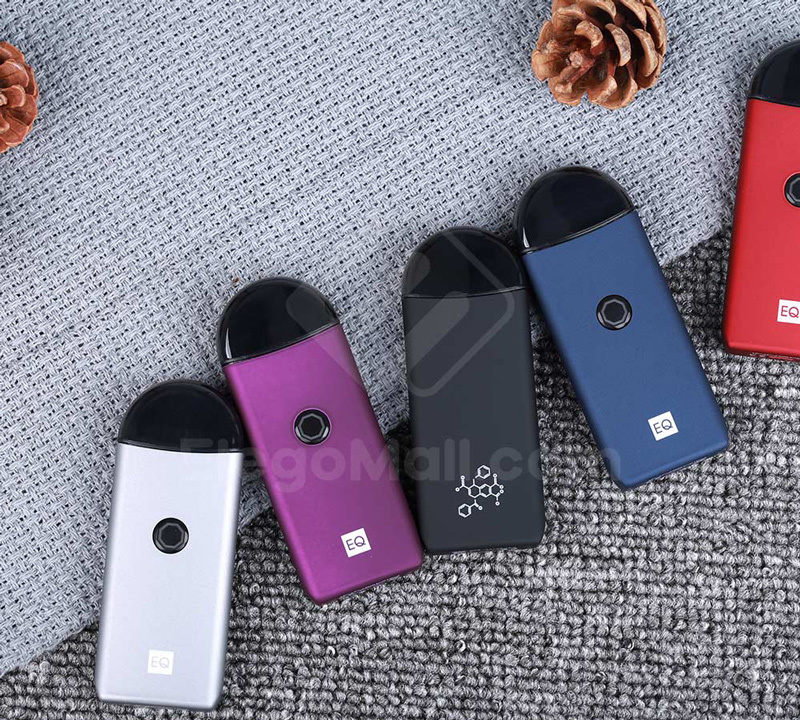 Get the Innokin EQ Pod System Kit for MTL vaping. What do you think of the Aspire Nautilus AIO and Innokin EQ? Vaporesso releases the new starter kit for MTL and DL vaping. Let us find the details of the beautiful and powerful flavor box kit now. Vaporesso Drizzle Fit starter kit consists of a Vaporessso Drizzle Fit Mod and the Vaporesso Drizzle Tank. Equipped with the Omni Board Mini chipset, the Vaporesso Drizzle Fit enable you to vape with power and safety. The Vaporesso Drizzle Tank has the top refill system and Top adjustable airflow system that help to reduce the leakage problem. Working with the EUC CCELL Coil, the Vaporesso Drizzle Fit Starter Kit will deliver the MTL or DL vaping. Here are another best two Vaporesso Starter Kits for your reference. Vaporesso LUXE 220W Starter Kit comes with a Vaporesso LUXE 220W Box Mod and Vaporesso Skrr Sub Ohm Tank. Adopted the built-in Omni board 4.0 chip, the Vaporesso LUXE 220W Box Kit has the instant-fire 0.002s and super player mode for a wide range of atomizer accessories. With the 2.0-inch TFT color touch screen, it will provide a spacious and wide panel for operation. Vaporesso Skrr Sub Ohm Tank features the quad flow air distribution system that brings exquisite flavor and warmth by keeping cold drafts out. Working with the new QF meshed coil and QF strips coil, the Vaporesso LUXE 220W Kit will be the luxurious powerful flavor Box Kit for vape lovers. 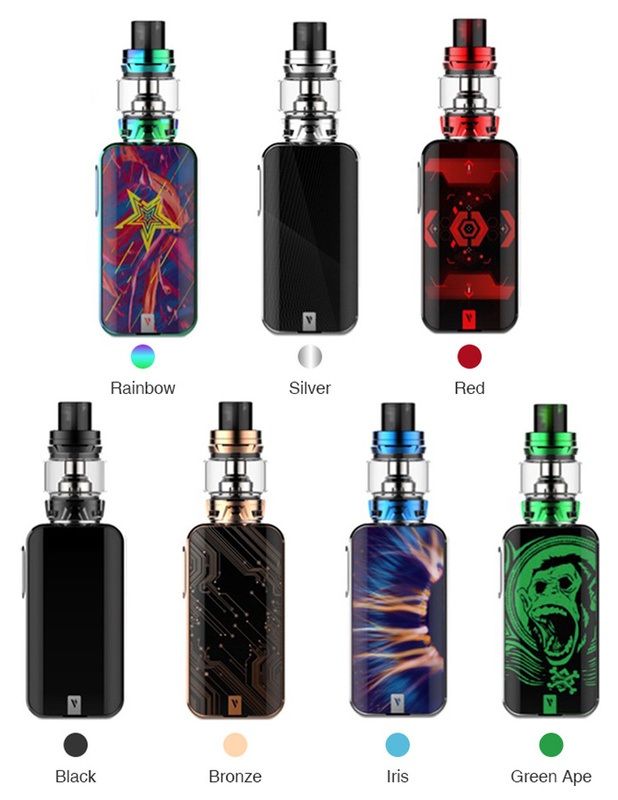 Vaporesso Tarot Baby Starter Kit is combined with the Vaporesso Tarot Baby Starter kit and the Vaporesso NRG SE Sub Ohm Tank. Powered by inbuilt 2500mAh battery, the Tarot Baby supports a maximum output of 85W. Features the upgraded OMNI Board 4.0 chip that provides Instant-Fire, Super Player Mode (0.03Ω-5Ω) and multiple protection modes. The Vaporesso NRG SE Atomizer adopts the GT Meshed Coil to give a richer and smoother flavor. 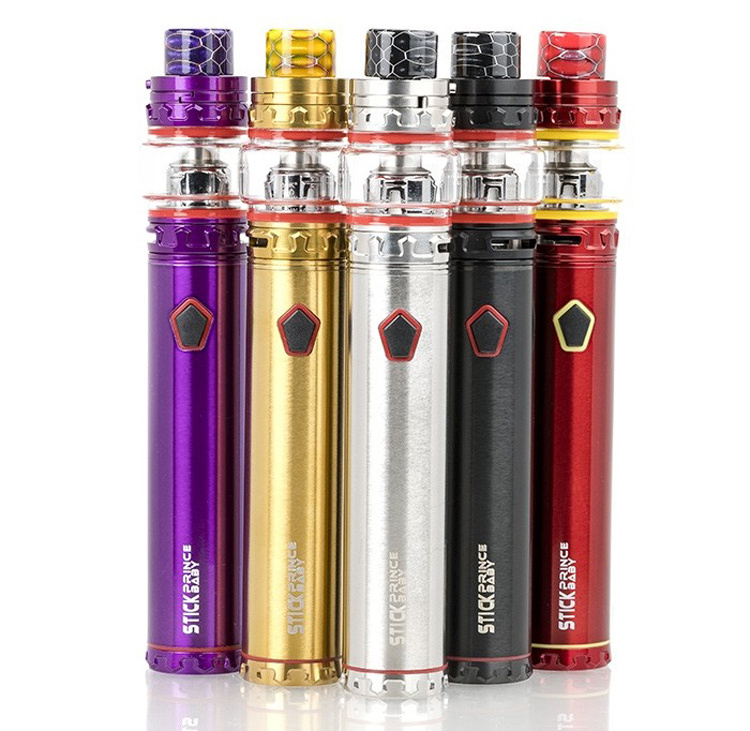 Get the compact and funny Vaporesso Tarot Baby Starter Kit now. Would you prefer the Vaporesso Drizzle Fit Kit?